S.O.S. Violence Interrupter Rudy Suggs was profiled in the New York Times on Christmas Day. We are proud of Rudy and of the entire S.O.S. team. 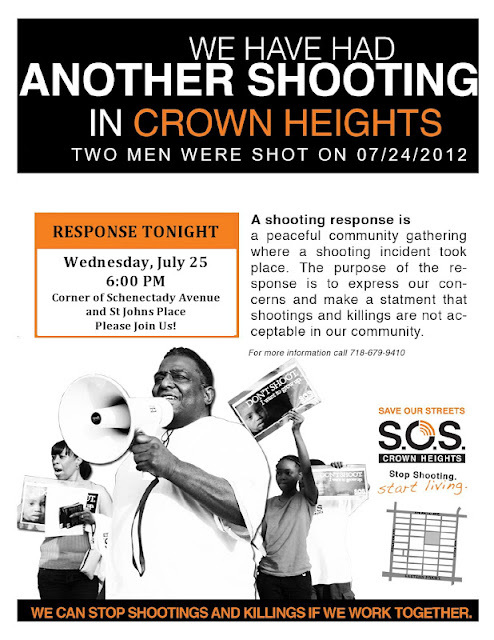 Thank you for your continued support to make gun violence in Crown Heights a problem of the past. Rudy Suggs, 48, has already lived one life, and now he is on his second. The first was as a gun-toting drug dealer in Crown Heights, Brooklyn, a few blocks from where he grew up. The second is as an anti-gun-violence activist, working the same streets he used to roam late into the night to prevent gunshots before they happen. To learn more about what Save Our Streets Crown Heights accomplished this year, click here.To view a digital copy of our community resource directory, click here. 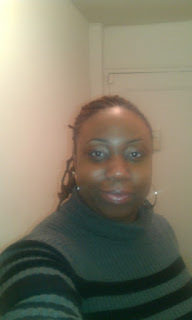 "In the 45 years that I have been involved in community organizing, S.O.S. is the most rewarding and uplifting experience. In the two years that I have been involved we’ve seen how much S.O.S. has improved the community. This is a program about everybody, but this program is particularly giving the young people the knowledge to run this neighborhood. The young people will be able to do this because of the tremendous job of the foot soldiers, the Violence Interrupters and Outreach Workers who are making the neighborhood safer. I thank them every day." We’ve accomplished much this year, but as always we have much more to do. Here are a few highlights from 2012. 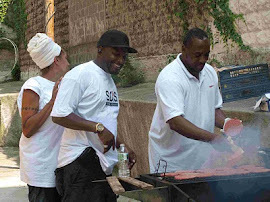 As part of our effort to foster relationships among neighbors, highlight the talents of neighborhood residents, and encourage community participation in the fight against gun violence, we organized over twenty events involving over 1,000 people, including two block parties (photos), two film nights, a talent show (photos), a community march, a YO S.O.S. flash mob (photos) and an art showcase (photos). None of these events would have been possible without our highly dedicated and active group of volunteers who keep the work going and inspire the staff daily. We launched Make It Happen!, a unique, groundbreaking program that serves young men of color who have experienced violence, a population long ignored by traditional victim services providers. I’m extremely proud of the work we’re doing here. MIH! is not only bringing much needed services to a population in need, but it is also changing a fundamental paradigm—both within the culture of the people it works with and within victim services institutions. We launched the S.O.S. Clergy Action Network (C.A.N. ), bringing together more than 130 local clergy members to support Save Our Streets Crown Heights and work for non-violence in their communities. In 2013 we plan to publish a book about some of our C.A.N. members and their efforts to end the culture of violence among their congregations. Youth Organizing to Save Our Streets (YO S.O.S. 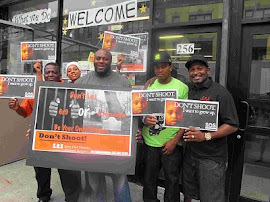 ), the youth mobilization arm of S.O.S., prepares teens to be community organizers, effective messengers, and problem solvers in the movement against urban gun violence. In 2012, YO S.O.S. completed its inaugural year and launched a second, bigger program for the 2012-13 school year. Twenty-one youths graduated from the program in the spring, and 35 new organizers joined this fall. In 2013, youth organizers will spread the message of non-violence and take over our annual Arts to End Violence contest and showcase. We’re excited to see the results! Our neighbor services program served over 700 walk-in clients with job searches, resume assistance, housing help, health-care screenings, immigration help, and access to services across the community. 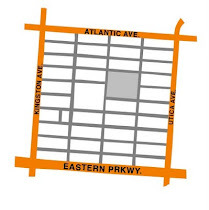 This year we also created a community resource directory focusing on Crown Heights. The directory is available both digitally and in hard copy for those who have limited computer access. 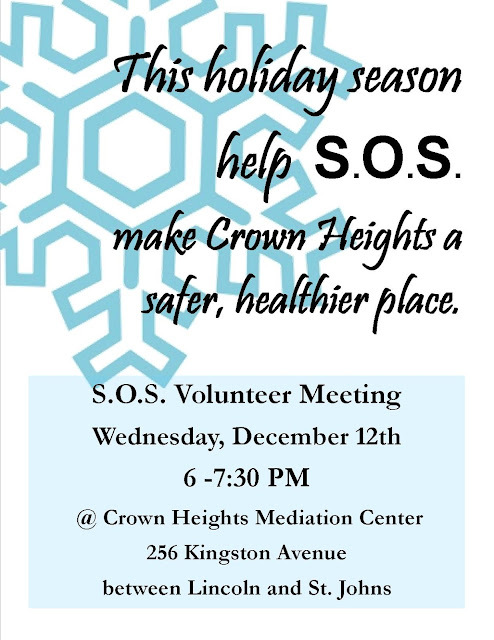 Of course, the work we do is never done, and we have already started on our plans to make Crown Heights safer and healthier in 2013. Perhaps our most exciting new venture for 2013 is our new Hospital Responder program. Launched in partnership with Kings County Hospital’s Emergency Department, this initiative allows Center staff to work directly with shooting victims, their friends, and their family members at the hospital; first responders will intervene to try to prevent retaliation and disrupt the cycle of violence before it escalates. Supporters like you are instrumental in our campaign to end gun violence and in making Crown Heights safer for all residents. We’re very proud to count so many people throughout New York City as our friends, and we very much hope that you’ll continue to support our work—in whatever way you can. Please follow our progress on our blog,Twitter, and Facebook, please refer people to our programs, come volunteer, or, best of all, come to our events! If you can make a financial contribution, checks can be made out to our parent organization, the Fund for the City of New York, and mailed to the Crown Heights Community Mediation Center at 256 Kingston Avenue, Brooklyn, New York 11213. Or you can donate online by clicking this link and selecting "Crown Heights Mediation Center" in the program designation dropdown menu. Thank you, again, for your continued support. We couldn’t do it without you. Best wishes for a happy, healthy, and peaceful New Year. Our hearts go out to the town of Newtown, CT and to the families of those who were killed and injured in the horrific incident last Friday. We are grieving with them and grieving for all the victims of gun violence everywhere for whom this most recent tragedy resonates with a particularly deep sadness, frustration and, in some cases, anger. The staff and volunteers of S.O.S. grapple daily with how to put an end to the epidemic of gun violence. We consider gun violence a disease which has infected our society and is continuing to spread. We work for the day that gun violence is eradicated and a problem of the past. S.O.S. staff work to prevent the spread of this disease by interrupting potential incidents of violence. We also try to change the beliefs that make gun violence possible in our neighborhood. Too many people in Crown Heights believe that it is acceptable to use guns at the slightest sign of conflict or disrespect. On too many corners, getting shot is seen as a rite of passage that confers status on the streets. And too many kids grow up not expecting to live past 20. Unfortunately, in our neighborhood, when there is a shooting, the signs of outrage are brief and often muted. Newspapers tend not to devote A1 stories to the chronic drip of violence in Crown Heights. There is always another crisis to attend to, another more urgent problem to solve. And so the violence continues. Is it any surprise that some in Crown Heights wonder aloud whether the life of a person in this neighborhood is truly valued by those outside of the community? Here in Crown Heights, our work to stop gun violence is not only hampered by the reality that guns are easy to obtain, but also by fractured and overtaxed systems -- schools, health care, and housing, to name a few. As a student once asked us at a barren, prison-like Suspension Center, “What am I supposed to think when I’m sent to a school that has no books?” We have learned the hard way that a person who does not consider his or her life precious or important can easily become dangerous. 1) Hold the victims here in our neighborhood in our hearts and prayers. This time of year is particularly hard for those who have lost loved ones. 2) Work closely with perpetrators of gun violence and potential perpetrators of gun violence to help them think and behave differently. Help them make safer choices for themselves and our neighborhood. 3) Create meaningful opportunities for neighbors to come together for positive experiences and to strengthen the fabric of the neighborhood, such as Arts to End Violence, the S.O.S. Talent Show, and the many block parties we organize. 4) Try to understand some of the root causes of the gun violence and what can be done about it. Think about the many institutions that touch or fail touch our young people and what we can do to help them succeed. 5) Learn and practice peaceful conflict resolution so that we can model for our children, friends and family healthy ways of responding to conflict. 6) Express outrage by attending a shooting response if there are any more shootings in Crown Heights. 7) Attend community meetings. Join your block association. Talk to your neighbors. Strengthen your own commitment to be a part of the movement to end gun violence. From The Center for School Mental Health. 2. Make time to talk. Let their questions be your guide as to how much information to provide. Be patient. Children and youth do not always talk about their feelings readily. Watch for clues that they may want to talk, such as hovering around while you do the dishes or yard work. Some children prefer writing, playing music, or doing an art project as an outlet. Young children may need concrete activities (such as drawing, looking at picture books, or imaginative play) to help them identify and express their feelings. * Early elementary school children need brief, simple information that should be balanced with reassurances that their school and homes are safe and that adults are there to protect them. Give simple examples of school safety like reminding children about exterior doors being locked, child monitoring efforts on the playground, and emergency drills practiced during the school day. * Upper elementary and early middle school children will be more vocal in asking questions about whether they truly are safe and what is being done at their school. They may need assistance separating reality from fantasy. Discuss efforts of school and community leaders to provide safe schools. school administrators, and accessing support for emotional needs. 5. Observe children's emotional state. Some children may not express their concerns verbally. Changes in behavior, appetite, and sleep patterns can indicate a child's level of anxiety or discomfort. In most children, these symptoms will ease with reassurance and time. However, some children may be at risk for more intense reactions. Children who have had a past traumatic experience or personal loss, suffer from depression or other mental illness, or with special needs may be at greater risk for severe reactions than others. Seek the help of mental health professional if you are at all concerned. even teenagers, and limit their exposure to vengeful, hateful, and angry comments that might be misunderstood. 7. Maintain a normal routine. Keeping to a regular schedule can be reassuring and promote physical health. Ensure that children get plenty of sleep, regular meals, and exercise. Encourage them to keep up with their schoolwork and extracurricular activities but don't push them if they seem overwhelmed. * Schools are safe places. School staff work with parents and public safety providers (local police and fire departments, emergency responders, hospitals, etc.) to keep you safe. * The school building is safe because ... (cite specific school procedures). * We all play a role in the school safety. Be observant and let an adult know if you see or hear something that makes you feel uncomfortable, nervous or frightened. * There is a difference between reporting, tattling or gossiping. You can provide important information that may prevent harm either directly or anonymously by telling a trusted adult what you know or hear. * Don't dwell on the worst possibilities. Although there is no absolute guarantee that something bad will never happen, it is important to understand the difference between the possibility of something happening and the probability that it will affect our school. * Senseless violence is hard for everyone to understand. Doing things that you enjoy, sticking to your normal routine, and being with friends and family help make us feel better and keep us from worrying about the event. * Sometimes people do bad things that hurt others. They may be unable to handle their anger, under the influence of drugs or alcohol, or suffering from mental illness. Adults (parents, teachers, police officers, doctors, faith leaders) work very hard to get those people help and keep them from hurting others. It is important for all of us to know how to get help if we feel really upset or angry and to stay away from drugs and alcohol. * Stay away from guns and other weapons. Tell an adult if you know someone has a gun. Access to guns is one of the leading risk factors for deadly violence. * Violence is never a solution to personal problems. Students can be part of the positive solution by participating in anti-violence programs at school, learning conflict mediation skills, and seeking help from an adult if they or a peer is struggling with anger, depression, or other emotions they cannot control. Sadly, people from all over New York City have lost family members to gun violence. When a life is lost, families want to ensure that their loved one’s name is not forgotten. Many of them stop by our office to find out how they can honor the lives lost; some do so by connecting to others in similar situations and some even start their own foundations. In the fall of 2012 the Crown Heights Community Mediation Center decided to create a record of all of the resources that support families’ grieving and rebuilding process. Click here to view the list online. This list is a work in progress, so please contact Ariana Siegel at siegelar@crownheights.org or call 718-773-6886 if you know of additional organizations that should be included. Due to the storm conditions, we have decided to reschedule tonight's S.O.S. 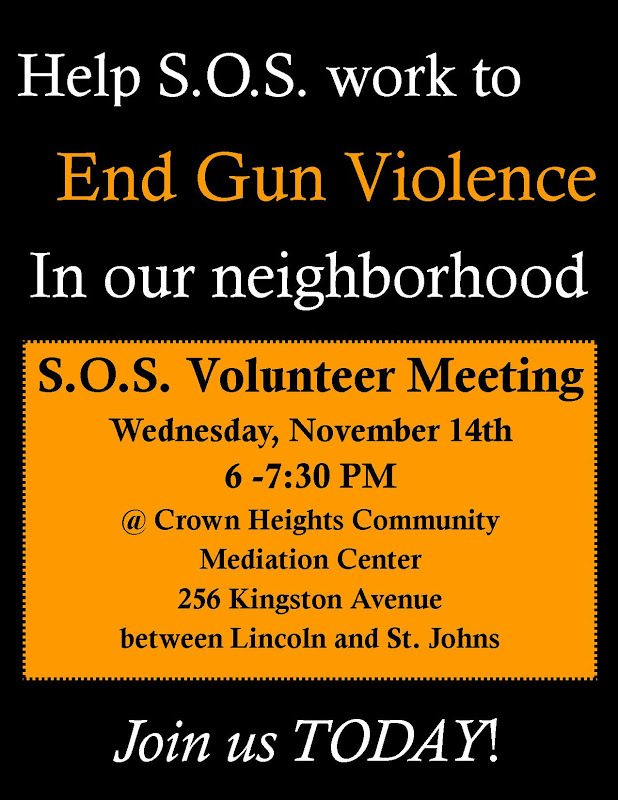 Volunteer meeting for next Wednesday, November 14th, from 6-7:30 PM. We apologize for any inconvenience, and hope to meet everyone and share ideas next week. Cure Violence in Chicago has been hard at work trying to reduce gun violence in their neighborhood. Recently, their success with a basketball tournament initiative was written up on a sports-news blog called Hang Time, and profiled in a video and article by NBA.com! We've included the write-up of the event in Hang Time below; read it to learn about the kind of great work Cure Violence is dong around the country. S.O.S. Crown Heights is proud to be a replication of the Cure Violence program. OK, it’s nothing to sing about. Gun violence is real. The gang activity behind it has triggered an epidemic of shootings and homicides in Chicago in 2012. With two months to spare, more people had been killed in Chicago this year than in all of 2011 (435). But a glimmer of good news: The murder rate slowed in October. In fact, the Associated Press reported, there were fewer murders last month than in all but one October since 1982. Chicago mayor Rahm Emanuel praised police and an emphasis on gang-busting. Tio Hardiman, director of CeaseFire Illinois, thinks basketball might have had a little to do with it, too. Hardiman was one of the city activists involved with the Peace Tournament Sept. 22 at St. Sabina Church in the Auburn-Gresham community on Chicago’s South Side. Co-hosted by NBA legendIsiah Thomas and Father Michael Pfleger, the day-long event brought together rival gang members from the city’s meanest streets for dialogue and hoops. The gym was packed, with an unbilled appearance by Bulls star Derrick Rose. Players and coaches took part in discussions about violence and grievances before and after the games, mingling with NBA players such as Quentin Richardson, Joakim Noah and Taj Gibson. Then they were sent back to their neighborhoods, urged to share a message of peace. Even if that’s just an elusive coincidence, it’s one worth pursuing. Thomas will be back for a second event, this time on the West Side close to where the former Detroit Piston and Naismith Hall of Famer grew up. 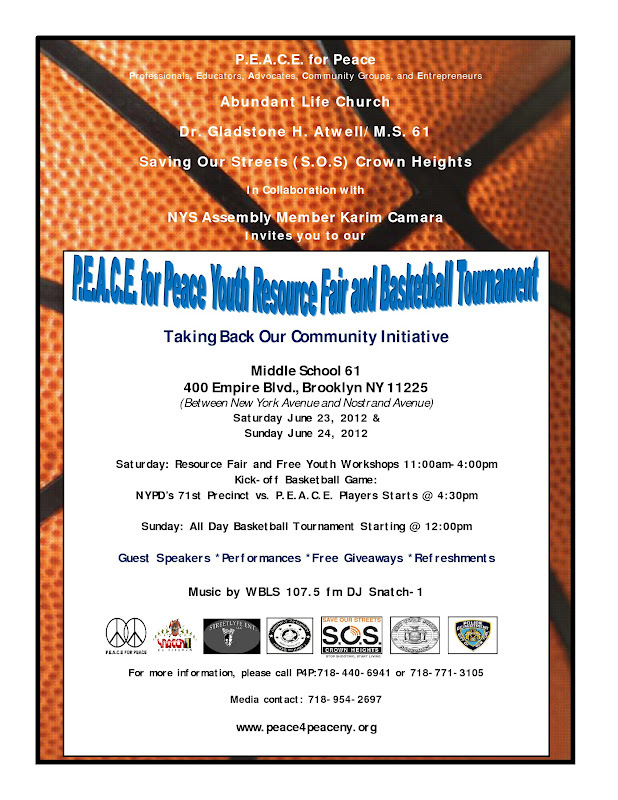 The Basketball Tournament for Peace will be held Saturday, Nov. 17, at Christ the King Jesuit School at 5088 W. Jackson." Amidst the devastation that Hurricane Sandy brought to our friends and families across the New York and New Jersey areas, we at the Crown Heights Community Mediation Center wanted to spread some Halloween love to our young Crown Heights trick-or-treaters. We had two 'pop up' community candy tablings sponsored by S.O.S and YO S.O.S. 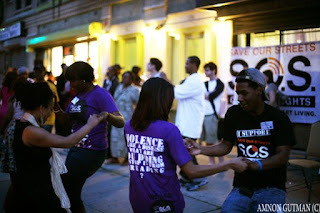 The outreach workers, youth organizers, and mediation center staff hit the streets with candy, facepaint, and S.O.S. material to talk to people about gun violence. We were able to give out over 200 bags of candy and SOS “Don't Shoot I Want to Grow Up” palm cards to children and their guardians. It was a much needed event in the wake of the hurricane. We understand the importance of humility in sharing our smiles from yesterday's Halloween community tabling, as well as the equal importance of bringing good news amid all of the tragedy the Sandy brought and left. We hope everyone in our community and those surrounding us can stay safe and find ways to smile as we work towards stability in the days ahead. This Saturday, S.O.S. C.A.N. will hold a clergy breakfast at The Bethany United Methodist church. At the breakfast we will recognize and appreciate clergy members' contributions to the fight against gun violence. A young community organizer will come to speak about how he mobilized pastors in Brownsville and East New York to build the Nehemiah low income housing development, among other initiatives. The Clergy Action Network will also share some pertinent information with attendees that will transform neighborhoods and houses of worship. Finally, participants will discuss the importance doing something not simply for the sake of doing it, but for the sake of adding value to communities and congregations. For more information contact S.O.S. clergy liason Reverend Kevin Jones at 917-837-2032 or masterkevin5@aol.com. The Brooklyn Crown Heights Houses of Worship will gather together in unity to pray for peace and the end of gun violence in our community. 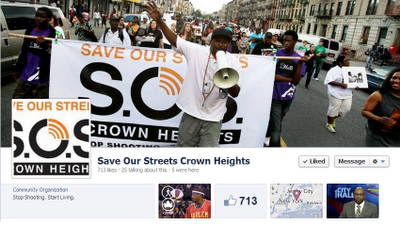 Save Our Streets Crown Heights is on Facebook! "Like" the S.O.S. facebook page at http://www.facebook.com/soscrownheights to keep up with our updates. The facebook page is a great way to learn about our events, Shooting Responses, messages from Outreach Workers and Violence Interrupters and inspiring statements from community members. Here is a sample of some of our recent Facebook statuses to give you an idea of what we post. We've had too many shootings this fall. We are hurting and losing people. 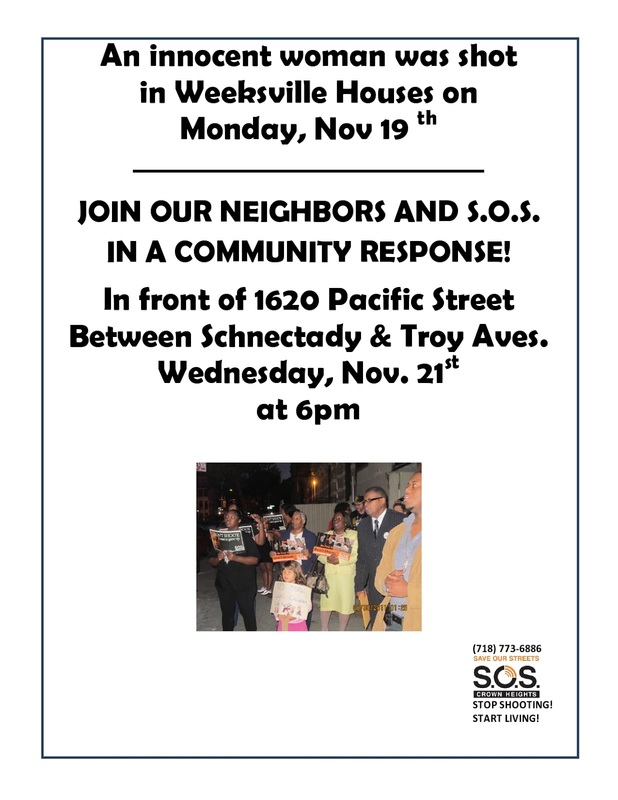 Let's come together as a community to END the shootings and killings. STOP SHOOTING. START LIVING. We can do this Crown Heights. We are working hard to end the gun violence in Crown Heights. We are so thankful that our neighborhood supports our work. Business owners, residents, teachers, Pastors and community organizers are working together to save lives. LMS if you are ready to see an end to gun violence in your neighborhood. We are saddened to inform you that there was a shooting on Tuesday night at the corner of Kingston Avenue and St Marks Place. This has been the second shooting in a week in the S.O.S. catchment; we must gather together to make our voices heard that Enough is Enough. 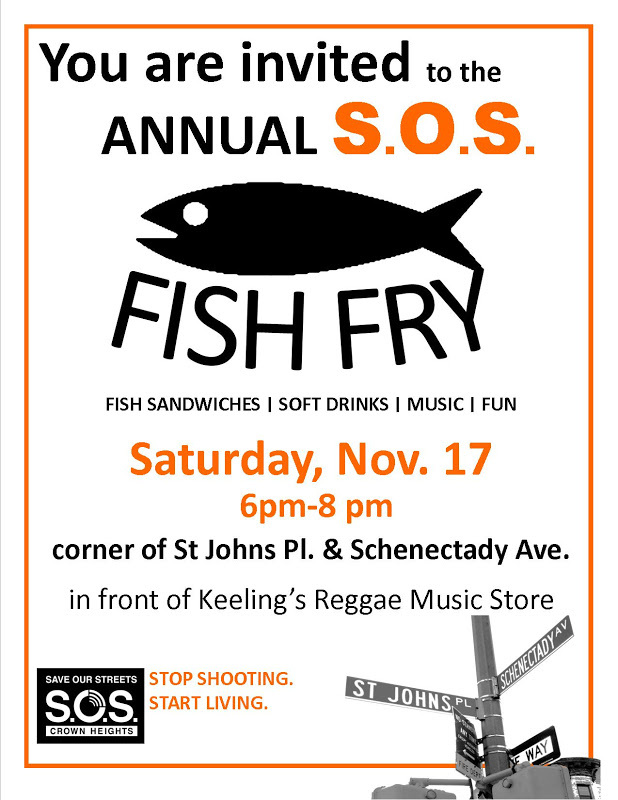 Please join S.O.S. tomorrow evening, Thursday, August 2nd at 6 PM at Kingston Avenue and St Marks Place to respond to the violence. We respond to every shooting that occurs in the S.O.S. target area to ensure that these tragedies do not pass unremarked as though they are normal and acceptable. We create a safe space on our streets, at the site of the shooting, where neighborhood residents can raise their voices in protest. We are saddened to inform you that on Tuesday, July 24th, there was a shooting in the S.O.S. catchment area at the corner of Schenectady Ave and St. Johns Place. Two victims were shot. One of the victims has died. Please join S.O.S. to respond to this violence. We will gather today, July 25, at 6 PM at the site of the shooting (Schenectady Ave. and St Johns Pl.). We are currently accepting applications for four open positions at CHCMC/SOS. Click on the position to see the full job description. Applications for all positions will be reviewed on a rolling basis, but the deadline for the Americorps positions is August 15th. Congratulations to Jose Cedillo, who won the recent Arts to End Violence art contest! Our judges honored Jose’s work out of several dozen excellent submissions to the festival. 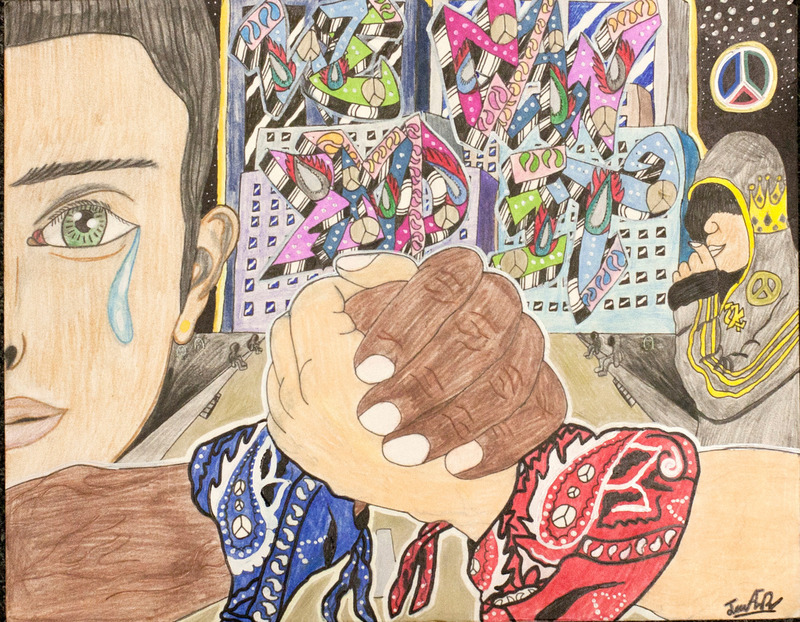 The piece, entitled “We Can End It,” expresses Jose’s belief that gang violence is wrong and that anyone, including those involved in gangs, can choose peace. It reflects a change in Jose’s own life, as he was once gang-affiliated. He describes his former self as “one of those types of guys you wouldn’t see past 21” and part of the high-risk population S.O.S. reaches. However, on the very day Jose planned officially to join a gang, his friend was stabbed and it transformed his perspective on gangs and violence. Since then, Jose has shared the message of nonviolence with family and friends by telling stories about the realities of gang violence. He also became an officer in his school’s branch of the National Honor Society and used his position to encourage other students to pursue paths that lead to success, rather than violence. Jose has been creating art since his childhood and started sharing it publicly a few years ago. He recently graduated from high school and plans to study culinary arts or medicine in the future. 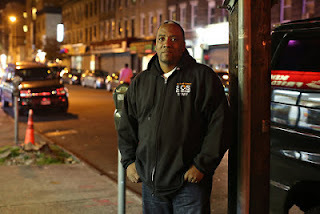 Brooklyn Independent Television reporter Fred Brown recently interviewed S.O.S. staff during Save Our Streets Week. Crown Heights Mediation Center Director Amy Ellenbogen said, "Enough is enough. The cost of gun violence hurts all of us too much, and we know together we can end the disease." Outreach Worker Derick Scott said, "You watch my brother I'll watch yours... this is how we come together. One thing is for sure, and two things are for certain, we have to bring the neighbor back to the hood"
Erika Isabel, an S.O.S. volunteer since 2011, is interviewing local heroes who do invaluable work to increase the peace in our neighborhood and beyond. We will be sharing these interviews on our blog. Our first feature is of D.R.E.A.M.S director, Ditashia Kahn. Read the interview below to learn about D.R.E.A.M.S. and Ditashia Kahn's work. 2. What do you do that helps increase the peace? D.R.E.A.M.S. partners with S.O.S. 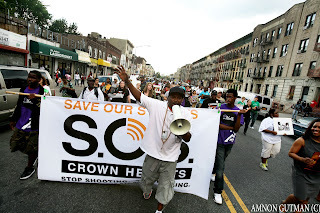 Crown Heights and involves people like YO S.O.S. program coordinator Marlon Peterson who did a presentation for the Art to End Violence Contest. We also participated in the 20 year anniversary of the Crown Heights riots where we were out serving and giving out information on stopping the violence in the community. We also have a program called S.M.A.R.T. which stands for Start Making a Real Transformation. This is a program that is a part of Youth Build, which is a reentry/transition program for ex-offenders by providing them with job and life readiness classes. In order to stay in S.M.A.R.T. they have to perform 300 hours of community service. Also, since the Voter Registration drive is coming up, D.R.E.A.M.S. has committed to enlisting 200 voters for the 2012 Election. 3. What can others do to join you? 4. What message do you have to the community? The community has everything it needs to be great. Young people are the solution, not the problem. If they have someone to believe in them and see them as the solution, then the community can be better. This is my life’s work; I couldn’t see myself doing anything else.